Today is the wettest and coldest start to the Memorial Day weekend in at least 113 years (according to the Mohonk Preserve's weather data). As a result, our planned bike ride in the Catskills is not happening. I've ridden down route 23A along Kaaterskill Creak in the rain and it is absolutely not enjoyable. At all. Running in the rain, on the other hand, is actually really fun. So we're heading out for a wet one along Mohonk's carriage roads. To prepare the salmon rub it with olive oil and smother it with jerk seasoning. We're fans of Ric Orlando's Jerk rub, which is available locally in New Paltz or online. 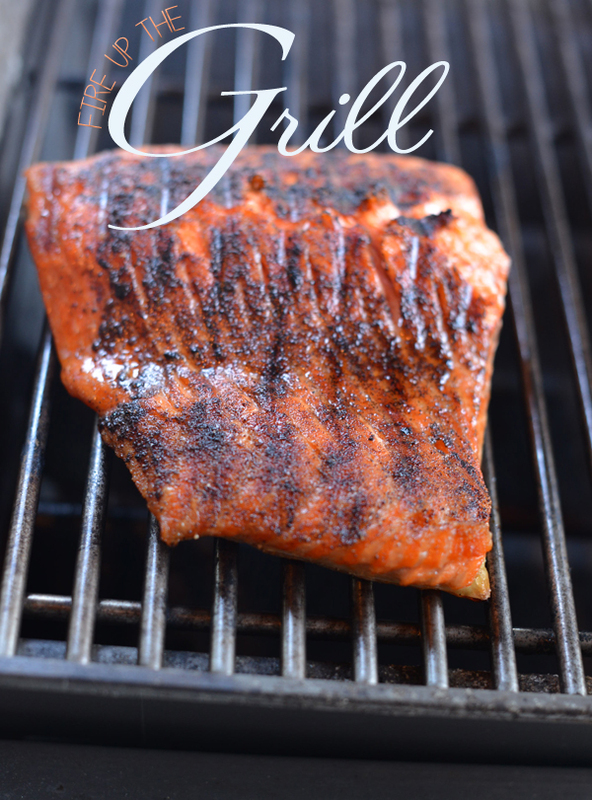 To cook the salmon, SJ likes to heat the grill to 500 to get a good sear on the non-skin side. Then, he turns the heat down to 400 and cooks the salmon, flipping it once, for about 5 minutes on each side, or more/less depending on the thickness. For the skewers (or "skewahs" as we call them in NY), prepare them by alternating shrimp with cubes of fresh pineapple. Cover the skewers with cilantro pesto and salt and pepper. Throw them on the grill when you cook the salmon. Cook the skewers, turning once, until shrimp is done, which only takes a few minutes. Top with additional pesto before serving. Serve with warmed corn tortillas and slaw.